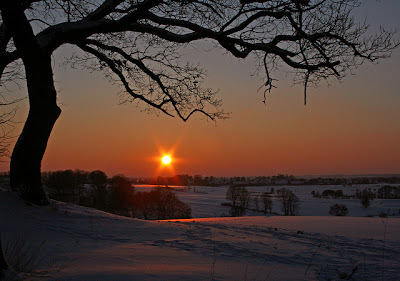 The Designer's Notebook News: Good cheer to you for the Winter Solstice! Winter Solstice in Denmark, 2010. Photo courtesy of Ingrid0804 on Flickr, Fair Use only. Hello again, family, friends and colleagues! Almost every religion on Earth celebrates a midwinter festival of some kind, and even for those of us with none at all, the turning of the year brings new light and new life. I wish you good cheer and health -- or as the Anglo-Saxons said, waes hael! It has been a busy year for me (I say that every year, don't I?). I consulted for several different companies and did a bit of corporate training (none of which I'm allowed to talk about, of course). On the academic side, I wound up my five-year Royal Academy of Engineering grant to teach at the University of Ulster's School of Computing and Intelligent Systems in Northern Ireland, and increased my contribution at the University of Gotland in Sweden. I now fly there seven times a year to teach and mentor undergraduates, and the most enjoyable part is about to begin: They'll all form into teams and build games throughout the spring, and I get to offer sage wisdom. The University of Gotland has just agreed in principle to merge with the University of Uppsala, Sweden's oldest and most prestigious institution of higher education, so that's very exciting -- it's sort of the equivalent of a technical school merging with Harvard or Oxford. I'm also working on a new book. In September of 2010, I met a young Dutchman named Joris Dormans at the G-Ameland festival. Joris has built a great simulation tool called Machinations that lets game designers diagram and simulate game mechanics symbolically, without doing any programming. I was so impressed with him and his work that I persuaded him to write a new textbook with me. We signed it with Peachpit Press a couple of months ago and hope to have it out for next fall. The title will be Game Mechanics: Advanced Game Design. I also updated my PhD thesis as requested, and sent it off to my advisers to look over. It will take a while longer before it goes to the examiners for their final verdict. Anyway, I'm hoping that it will be done and dusted sometime this spring. In the upcoming year I'll be attending the Global Game Jam for the first time, in Leeuwarden, the Netherlands, and of course I'm going to Game Developers' Conference as always (although I don't have a talk there this time -- first time in 21 years!). All the best to you and yours for a happy Hanukkah, Christmas, Yule, or however you celebrate!